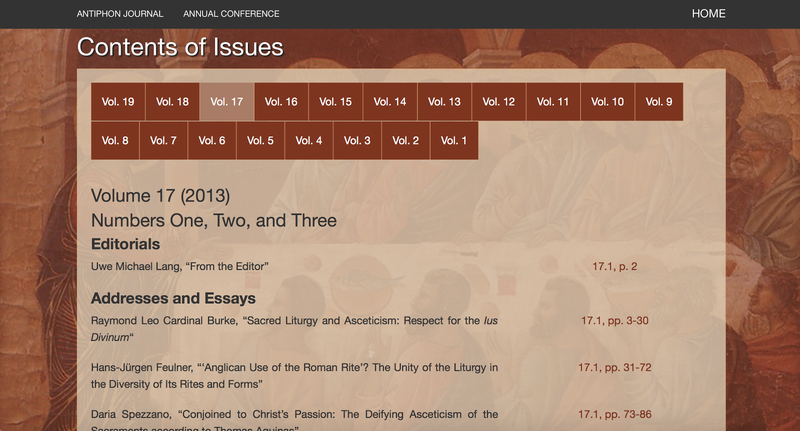 The website of the Society for Catholic Liturgy has just received a sleek update, thanks to webmaster Chris Owens. The website features free access to back issues of Antiphon: A Journal for Liturgical Renewal. Currently, issues 8–17 are available, and we're working to make the earlier issues available as well.